Manufactured using polycarbonate or ABS, which is both highly resistant to corrosion, combined with high impact strength and lightweight. Polycarbonate temperature range: -40ºC to +120ºC. ABS temperature range:-40ºC to +80ºC. Available as standard colour RAL 7035 (grey). Optional colours to customer specification are available. The transparent clear polycarbonate cover is smoked grey. The cover screws are available in black (with smoked transparent covers) or grey (with grey covers). RFI shielding for EMC compliance and screen printing. 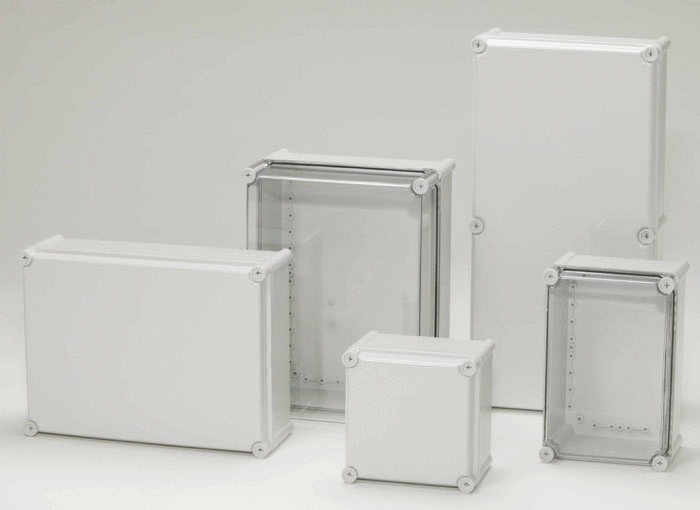 The CE SLD range offers enclosures manufactured from polycarbonate or ABS, which is highly resistant to corrosion, combined with high impact strength and lightweight. The CE SLD range is an excellent choice to house electronic and electrical components. It is also an ideal alternative to polyester enclosures. 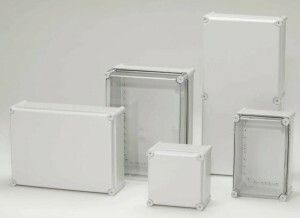 CE SLD enclosures are available with screw and hinge covers/lids in both polycarbonate and ABS.